As Campaign Mgr. for Anonymous for President 2012, the 5th of November is the day we learn who our next President will be, No myth, no fantasy one name we write in, no masks necessary, the votes counted here, is our freedom, is our power. No need to blow up Parliament just drive them back to England. Encourage those you know to openly support Anonymous, no money, just support of we the people. 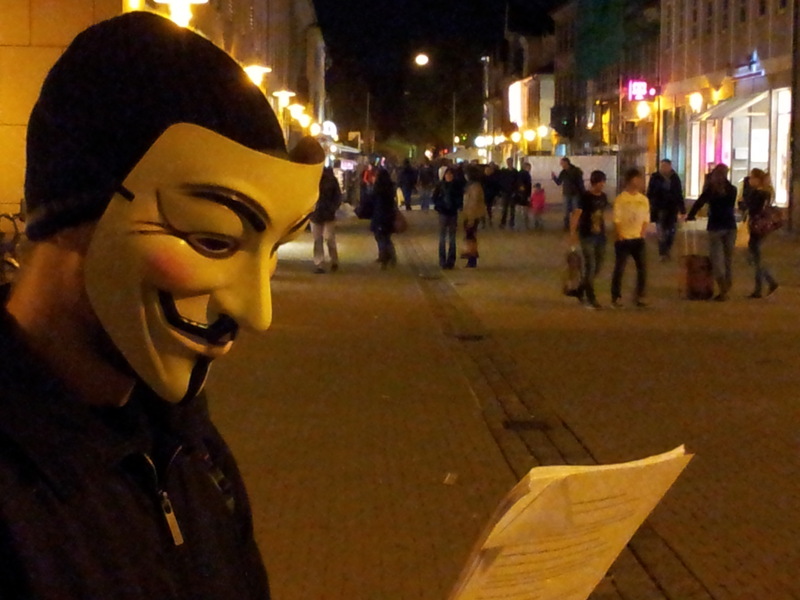 Anonymous for President, Champion of the Planet.